– Urban Retreat: Saturday Feb. 4 to Sunday Feb.12: Retreat schedule—morning class and interviews, afternoon and evening meditation sessions: 10am, 2pm & 7pm. No evening sessions on February 7, 8 & 9th. 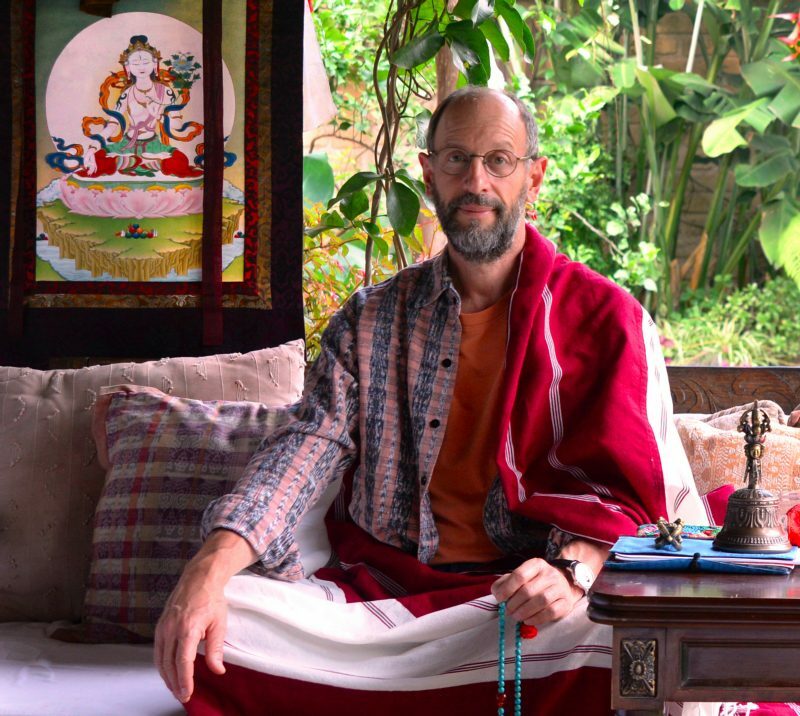 A decade ago, Lama Mark developed and taught a series of awareness meditations that combine subtle awareness of breath- sensation to lay a strong foundation of attentiveness, loving-kindness and as a preparation for Tantric meditations, especially the inner yogas. These practices will be taught via guided meditation sessions . – Evening classes: January 24, 25, 31: 7pm. February 1, 7, 8 & 9: 7pm. Chapters 1 to 7. Includes meditations and mind training: from Loving-kindness to Tonglen (giving and receiving of compassion). A combination of teachings and group meditation sessions. Teachings, transmissions from the Drikung Yangzab Dzogchen lineage. Empowerment & Tsok (community of practitioner’s feast) on February 19th evening—to be announced.